Announcement Well made, top quality clothing for all occasions for 18 inch dolls and 15 inch baby dolls, and miscellaneous handcrafted items. In 2016 I switched from velcro to snaps as closures on the American Girl clothes. I found in trying clothes on the dolls that their hair got caught in the velcro and then I had a mess on my hands. Young doll mommies don't need that. I will still use velcro occasionally on Bitty Baby clothes as they have painted hair thus avoiding the problem.I will be happy to provide free gift wrap for birthdays or other special occasions. Well made, top quality clothing for all occasions for 18 inch dolls and 15 inch baby dolls, and miscellaneous handcrafted items. In 2016 I switched from velcro to snaps as closures on the American Girl clothes. I found in trying clothes on the dolls that their hair got caught in the velcro and then I had a mess on my hands. Young doll mommies don't need that. I will still use velcro occasionally on Bitty Baby clothes as they have painted hair thus avoiding the problem.I will be happy to provide free gift wrap for birthdays or other special occasions. Hooded flannel jumpsuit for Bitty Baby or other 15 inch doll. Adorable and soft! Actually purchased it for a stuffed animal rather than a doll and it fits perfectly! 10/10! I have been a lover and collector of dolls since I was about eight years old. My Mother, an excellent seamstress, taught me to sew when I was twelve. I'm in my seventies now and haven't stopped sewing or lost my love for dolls. In July of 2017 I published a book I've written about some of my favorite dolls - the Ruth Gibbs Godey's Little Lady Dolls. Its now available in my etsy shop. I've been sewing clothing for the American Girl Dolls almost since the company's inception - originally at craft fairs and doll shows. 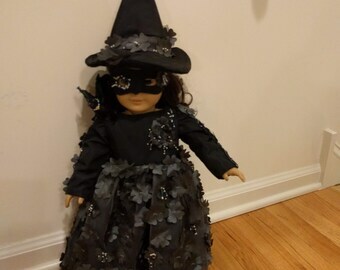 A friend who makes reproductions of antique dolls said she was doing well selling them on etsy. Having never heard of etsy she filled me in and I immediately opened a shop of my own. Etsy is a boon to crafts people and artists. I love it! Welcome to Nanbunny's etsy shop. I have been sewing since I was twelve and collecting dolls since I was eight. What a perfect combination! I strive to create well made, attractive dolls clothes that girls will love to dress their doll/s in. I hope you like the things I've sewn. If you are not pleased with an item or items, I will refund your money minus shipping if the item or items are returned to me within two weeks from date of original shipping in the same condition as when I shipped it/them to you. I do not accept credit cards, but will accept Paypal, a personal check or money order. With personal checks I will not ship until the check has cleared. I generally ship within two days from the date of purchase by first class or parcel post depending on the size of the package. If you need something in a hurry, please contact me before sending payment as it will probably be necessary to adjust the shipping charge. Thank you. From Thanksgiving to Christmas I offer free gift wrapping on request. I am not doing custom orders at this time. I just don't have the time.